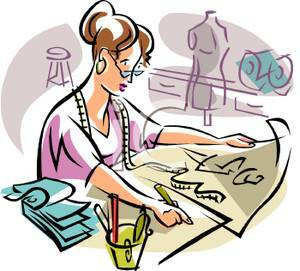 Everyone loves your work..... You do just a great job.......Its great that you love sewing I could not do it.. These are the things that are said to me over time. I have been doing alteration for friends and family since the age of 14. Somewhere around age 25 I expanded my alteration business to outside my comfort range. The name of the business was to be " Sew Perfect for Every Body" . Take your clothing and customize them to fit perfect for you. Over the years I have express my desire to some who have had this type of business and all I would get is discouragement. The horrors of the customer who does not know what they really want and the trials of getting paid what the jobs are really worth. Result is that I have never attempt to actually have the business I dreamed of and I remain taking in jobs from friends and family. Outside of the take this in its too big. Or let this out it must have shrunk. Occasionally I take a job because it"s a challenge and I always am looking for challenges. Then there are time when the job is refuse because its a something I cannot do. That is when I test myself and conquer that challenge by purchasing something in a thrift store and then do what was requested of me. If successful than I can accept these type of jobs. It is enjoyable for me. I have decided to give the business a try. However I will not accept jobs to create and dress for someone. All the horrors the other seamstress complained about were the jobs of making a dress and the customer changing their mind about the style of the dress mid fitting and the infamous wedding dress once finish bride complains and does not want to pay to the work. Even with a contract some cases ended in court. So my business will be a customization of clothing to fit the client. I will create some flyer's and post them in laundromats within a 5 to 10 mile radius of where I live. Try to get some new business. I have created a price list after taking the time to research the going prices from tailors, cleaners, and stores that offer alterations on clothes purchases at their stores. My prices are not too low and not too high as least that is how I feel about it. Anyhow this weekend the sewing space will be set up and I can get my new flyer's out in the area where i live and we will see if this will work. If it does not then I will consider my second dream job teaching others to sew. Or creating my own line of clothing and have a runway show. That sounds like fun. Once I start getting jobs in I will have a lot more to post of repairs and fittings hopefully this will be a lot of profitable fun.